Archos has given us a first glimpse of a new range of connected devices, health trackers and smartwatches that it’ll be showing off at the 2014 Consumer Electronics Show (CES) in Las Vegas next month. The array of new ‘Smart Home‘ hardware includes a miniature camera, motion ball, weather tag, smart plug and movement tag, all of which we assume can be purchased individually for a personalized setup. 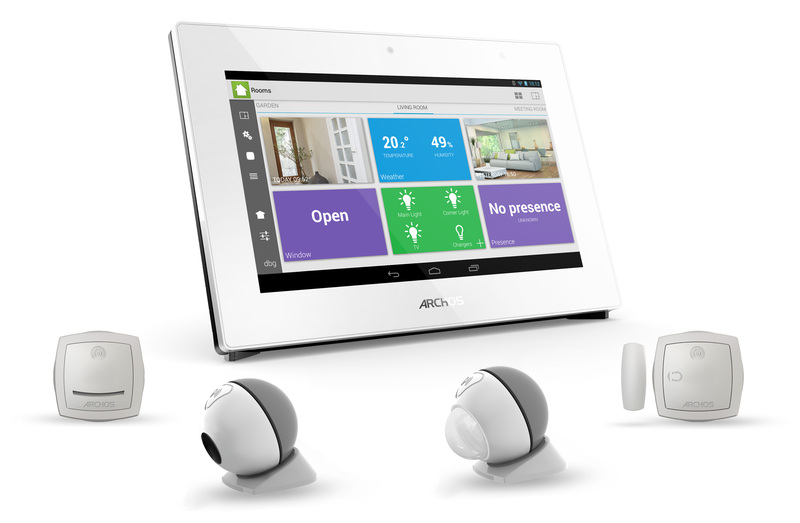 They’ll all be controlled with the Archos Smart Home app for iOS and Android, or a new 7-inch Smart Home tablet, which at first glance appears to be an uninspired white slate running Google’s mobile OS. Archos says they’ll also be unveiling a weather station during CES, which will measure the surrounding temperature, CO2 levels, humidity, environmental noise and atmospheric pressure. The device will need to be paired with a separate app for recording, tracking and visualizing captured data. At CES, the company will also debut a new set of scales, which can measure body shape, weight and body fat mass for up to four different users, as well as an activity tracker with the usual plethora of exercise-related metrics, including footsteps and calories burned. Archos will also be showing off a blood pressure monitor, in addition to a new smartwatch line-up with a “pebble-like design” that will start from under £50 ($82 USD) and support both iOS and Android.